Isolate yourself from negative people, and surround yourself with positive influences. Find a coach or accountability partner to help you stay on track. 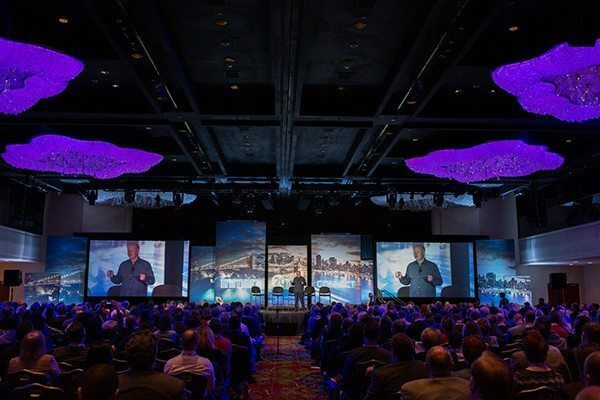 A motivational real estate conference can serve as long-term motivation. That feeling of fatigue hits, and we need extra motivation to keep going at a high level. I have been in the title industry since 2005, and there have been several times when I needed to step back and take a deep breath or find an outside positive influence that was rejuvenating. What do you do when you hit the wall and burnout sets in? There are many ways agents can stay motivated during these frustrating times or when they are looking for positive solutions — not only with their business but also in life. Here are three tips to help agents stay motivated and avoid the dreaded burnout. It sounds like a no-brainer, but misery loves company. If you spend time in your office, you probably know the people who are a negative influence. These agents tend to be frustrated, act negative and make excuses for their lack of success. It’s easy to get caught up in their antics if you have similar frustrations or issues. One way to stay positive and block out the negativity is by avoiding these people at all cost. Like trying to save a drowning swimmer, working with negative agents can result in your own demise. Do your best to surround yourself with the positive people in your brokerage and ask them what they do to maintain a positive mindset. Like trying to save a drowning swimmer, working with negative agents can result in your own demise. Learning and implementing specific practices to remain centered and positive will enable a much better state of mind and help your overall business. Having played sports my entire life, I can tell you that having a coach is important. Michael Jordan won six NBA Championships, but his coach, Phil Jackson, and the team’s triangle offense system played a large part in that success. Many agents are confused about what direction to take their business or how to generate clients to get that business off the ground. These two things alone will cause a lot of frustration and anxiety. Invest in your business by hiring a good real estate coach who can not only help with your career but also keep you in a positive mindset. A real estate coach can listen to your frustrations and work with you to find fruitful solutions to issues that cause negativity. If your marketing budget does not allow for a coach, find an accountability partner that can assist by meeting with you on a regular basis to track your progress. Knowing that business partner is there to guide your business is a great way for agents to stay motivated and on track. When people are sick or need medicine, they visit the doctor. The doctor does everything he or she can to help you get back to peak health and carry on with life. Things are no different in the real estate business. I find it beneficial to attend events and get a shot of motivation and inspiration. Motivational real estate conferences take place all over the country and provide helpful solutions for agents. Traveling to another market area and surrounding yourself with positive people over the course of a couple days and receiving these encouraging messages will get you in the right mindset to conquer your real estate business. Real estate is tough work. I think this is something we can all agree on, but as the thought leaders in the real estate industry, it’s vital to keep a positive mindset and not get caught up in the antics of negative influences. It’s vital to keep a positive mindset and not get caught up in the antics of negative influences. When frustrations or negative issues start to creep in, seek motivation and assistance through positive influence, an inspirational coach or by attending a real estate conference to uplift you and your business. Take the time to not only work on your real estate business but also on yourself. Doing so will improve your professional world and your relationships in everyday life as well. Wade Vander Molen is the director of sales/marketing for Stewart Title in the Northern Virginia/Washington, D.C., area.